Kawasaki Motors Corp., U.S.A. (KMC) has announced a continuation of its relationship with the Professional Bull Riders (PBR) Built Ford Tough Series (BFTS) as it enters the 2014 season. KMC will be in its third year as the Official Side x Side and ATV sponsor of the fast-growing sport that has captured the interests of both live and television audiences. Polaris comes into the 2014 off-road race season with teams competing in the Grand National Cross Country series (GNCC), World Off-Road Championship series (WORCS), Best in the Desert (BITD), SCORE International, Lucas Off-Road Regional Racing Series (LORRS), King of the Hammers (KOH) and Mud racing. 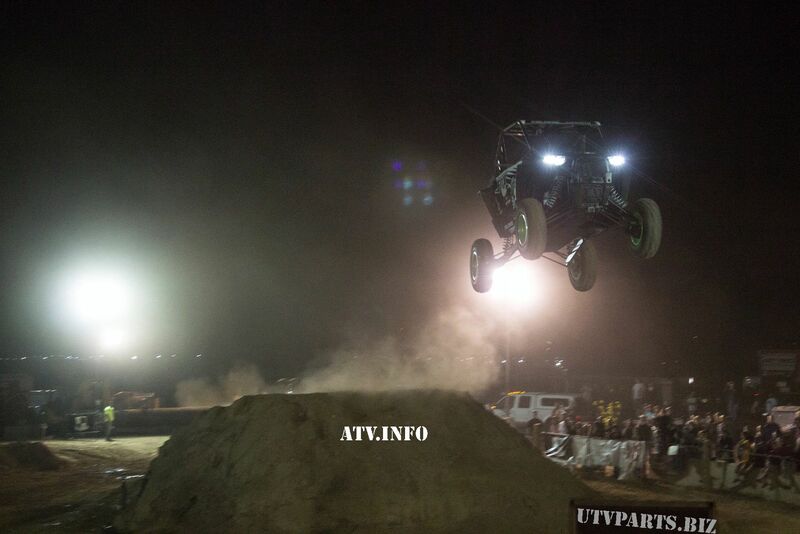 The company has expanded its race team once again for 2014 both in RZR racing and with the addition of two GNCC ATV Racers racing the Scrambler XP 850 H.O. EPS. Polaris will continue continue to offer their ATV and UTV Side-by-Side contingency, and has added a reimbursement program on select models. Polaris Industries Inc. (NYSE: PII), the leading manufacturer of off-road vehicles, today announced the company was awarded a contract to provide MV850 ultra-light tactical vehicles to the German Army. Polaris Industries Inc. (NYSE: PII), the leading manufacturer of off-road vehicles, has expanded its purpose-built commercial vehicle line, Polaris® BRUTUS™ to include the BRUTUS base model with cab, heat and air conditioning, which is now available for order through authorized BRUTUS dealers in North America. MX Sports Pro Racing is pleased to announce the return of the annual End of Season Celebration to the picturesque South Coast Winery in Temecula, Calif. This year's celebration will begin at 5 p.m. PST on Sunday, August 25, one day after the Lucas Oil Pro Motocross Championship finale at the Red Bull Lake Elsinore National in Lake Elsinore, Calif.
We have received a request from an OHV club (501c7) that has received a $400,000 RTP grant to purchase a piece of property for a riding area. Kawasaki Motors Corp., U.S.A. (KMC) announced a unique tie-in with “The Lone Ranger,” a Disney/Jerry Bruckheimer Films production set for national release on July 3. The powersports products marketer will use this new reimagining of the popular story to help carry product messages for its off-road motorcycles, four-wheel vehicles and street motorcycles. Polaris Industries Inc. (NYSE: PII) today announced the company is donating 10 military, off-road vehicles with a combination of Run-Flat and Non-Pneumatic Tires (NPT), to enhance The Salvation Army’s ability to transport food, water and other critical supplies to survivors, in Moore, Okla. The ATV UTV units will be delivered from Polaris’ Osceola, Wis. plant, free of charge, thanks to a generous donation from Bay and Bay Transport and Overbye Trucking.